After a week in Ireland, I have seen some incredible sights. This is a beautiful country, and the people are incredibly warm and welcoming. Although most days here have been rainy, I’ve tried to make the most of foggy landscapes and simply enjoy my time in such a unique place. However, the weather has made it difficult to take colorful sunrise and sunset photos, which is a bit unfortunate — it is no secret that golden hour is a wonderful time to take pictures. Still, there has been one incredible morning for photography so far. In just a few minutes, the sky turned from a dull sheet of gray into a magnificent show of color, and a rainbow appeared during the best light. In this article, I’ll cover the entire story and thought process behind my favorite photo from this beautiful sunrise. This scouting photograph was taken after sunset on a cloudy day. I had taken some pictures of the beach, too, but I still hoped to get a better shot; that’s why I set my alarm for sunrise in the first place. 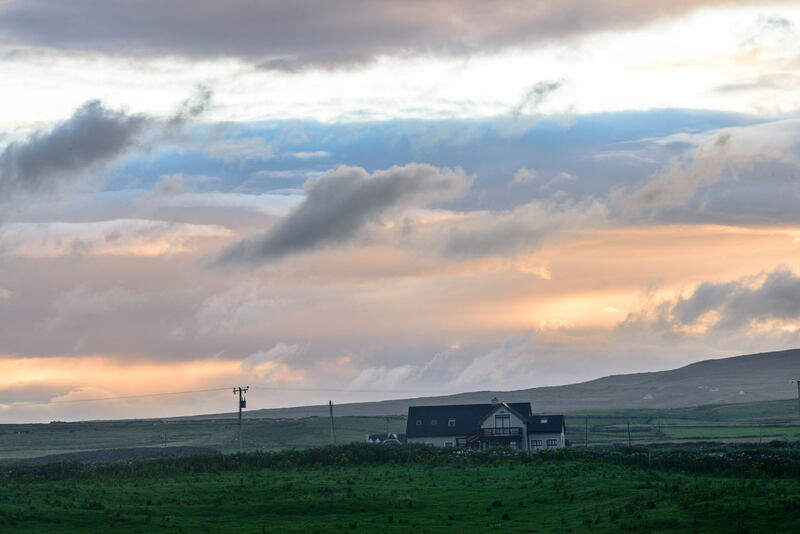 Because of the time of year, as well as Ireland’s northern latitude, I had to get out of bed around 4:45 in the morning to reach the location in time. The weather was dreary when I got out of bed — a light rain and a boring sky. Still, I was awake already, and the clouds were starting to thin along the horizon. I decided that it was worth going outside. 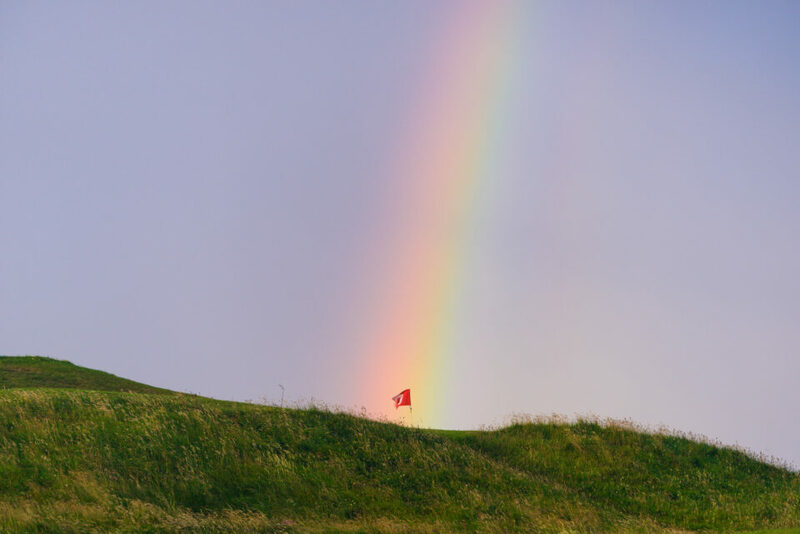 A good rainbow, but a boring landscape. At this point, I was still at least fifteen minutes from the beach, so there was no hope of getting such a photo with the rainbow. The waterfall I scouted earlier, though, was only a couple minutes down the road. Leaving my backpack on the ground, I ran towards the location with my tripod and camera. In the sky, the rainbow grew brighter, and then it began to dim. This is the final photograph, the first of three images I took before the rainbow faded. Why did I choose this composition? Since the rainbow faded so quickly, this was the first arrangement that came to mind. I cropped to a 4×3 aspect ratio, since the most important parts of the photo — the waterfall and the rainbow — are near the center. The edges were just distractions, and they added very little to the final photo. For every photo, I also think about the overall balance of the scene. In this particular image, of a peaceful landscape, I wanted the left and right sides of the composition to be of equal interest. The balance is not perfect, but any differences are slight enough that they don’t bother me. Finally, in terms of post-production, I did not make any particularly drastic changes. Mostly, I added global contrast and brightness. The colors are almost entirely unchanged from the original RAW file, since any edits caused the rainbow to look blotchy and discontinuous. I did a bit of local brightness adjustments to the waterfall itself, and I darkened some of the houses on the hill. Aside from the crop and a bit of sharpening, those are the only noticeable edits that I made — it was a relatively simple photo to process. If nothing else, my main takeaway was simple: every morning can result in beautiful photos, even if the sky looks dull and dreary. It certainly helped to have a good location in mind, but the most important part of this photo is that I was outside in the first place. The more that you look for photographic opportunities, the more that you will see unexpected, incredible sights. 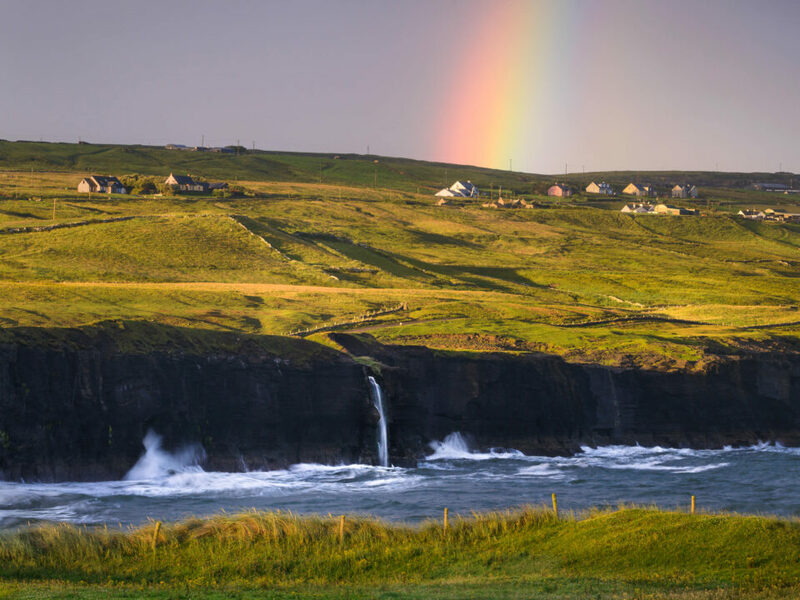 Great pictures, some years ago my family and I visited Ireland and I was fortunate to see a double rainbow, and as you said the people are very warm and friendly. Enjoy your pictures, and keep shooting!! Thank you! This rainbow was briefly a double rainbow as well, but I wasn’t able to capture it in time. Still, it was beautiful regardless. Great photo at the end. Thanks, and thanks for the coaching. I think that Ireland has to be on our bucket list of must-experience places. Glad you liked it! 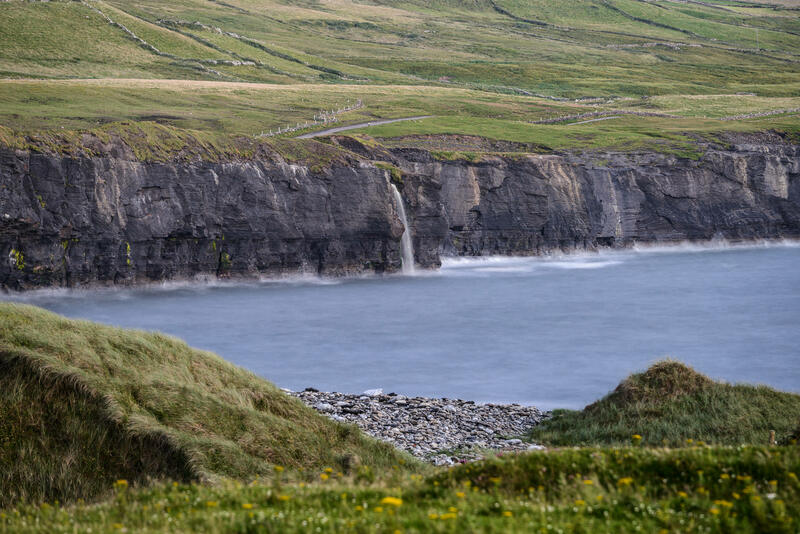 Ireland should be on anyone’s bucket list, especially for photography. I find the coasts to be especially beautiful. The final photo is really beautiful with minimal editing. Loved the composition. Thank you, Divy! I tried not to do too many edits, since the scene was pretty beautiful as-is. It is indeed a wonderful place! Thanks for the kind words. Nice photograph. Would like to see more of your pictures of this incredible country (with such lovely people indeed). Ireland is always something special to me! Lovely result, Spencer, and yes, I agree – mornings are tough.